Dr. Psuty specifically studies estuarine sediments, sediment distribution, and morphologies. He categorizes sediments based on their size and the processes that move and shape them. 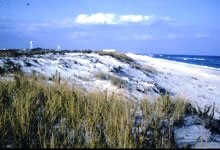 Certain sediments may represent coastal origins and derive from the waves and currents from barrier islands. 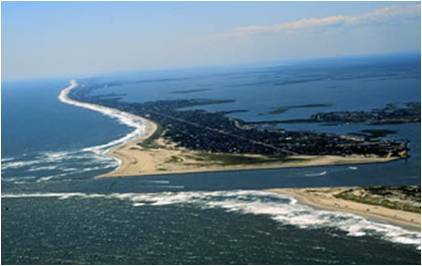 Other sediments represent accumulations associated with inlets that interrupt the barrier islands and allow deltaic forms to extend into the estuaries. Other sediments represent accumulation that represent transport from the mainland into the estuary. And, still other sediments may be part of the continent that was inundated as sea level rose and flooded the former subaerial surfaces. By studying sediments and the morphologies that they create, we can discern the evolution of estuaries and how they have interacted with past changes in sea level and the ambient coastal and continental processes. A couple of Dr. Psuty's publications on estuaries are available electronically. 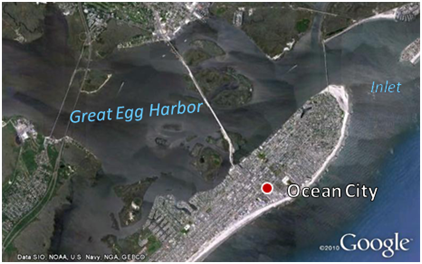 Two of the estuaries at which Dr. Psuty studies sediment distribution are Barnegat Bay and Great Egg Harbor. Psuty, N.P. and T.M. Silveira, 2009. Geomorphological Evolution of Estuaries: The Dynamic Basis for Morpho-Sedimentary Units in Selected Estuaries in the Northeastern U.S. Marine Fisheries Review 71: 34-45. Psuty, N. P., 2001. Morpho-Sedimentary Unit Signatures Associated with Micro-estuaries in the Barnegat Bay National Estuary, New Jersey, USA, Chinese Science Bulletin, 46: 62-65. Original pages by Lindsay Modugno, Jeff Pace, and Dan Lidor.